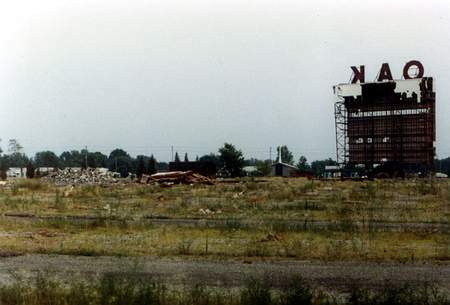 When did the drive-in close and when was the demolition?. My name is Gail Riddle. 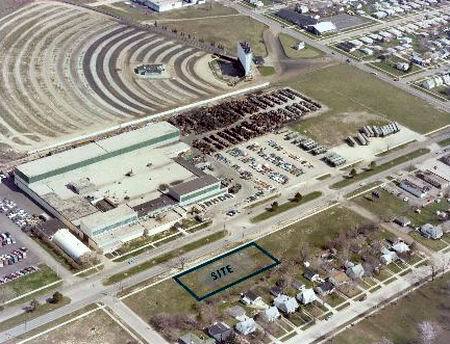 My father Lorne Burton Seeley and grandfather Albert P. Smith worked at the Oak Drive in. 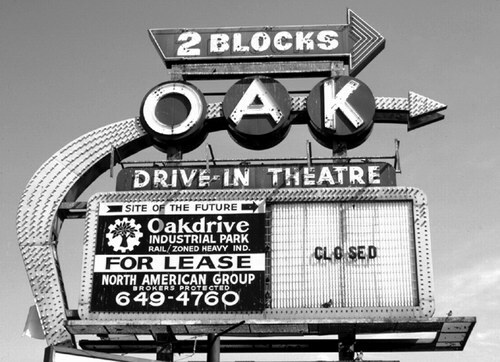 My uncle Alden Smith Owned the Oak Drive in. Ruthann Briggs sold popcorn and candy at the concession stand, I also did frequently. They always had fireworks on the fourth of July. They had cartoons before the movie. Boys used to date me just because we could get in free. Grew up on Wakefield in Berkley. My Grandparents had a jewelry store in the building where the Berkley Theater is. 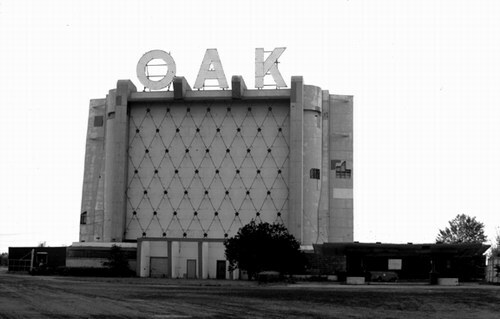 Friday nights,once a month,we would go to the Oak Drive In. In our pjs,played on the playground until the movie started. Brought our pillows and laid on top of Dads Ford Fairlane Station Wagon. Great memories of that crazy refreshment stand hot dog dancing! Berkley was a great place to grow up. 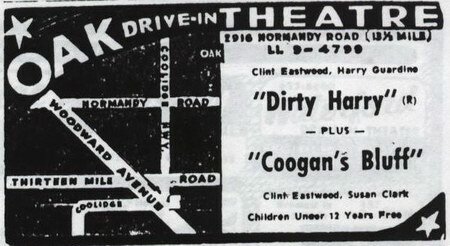 My Uncle Joe owned the Oak Drive In, and my parents owned the Concession Stand. I made popcorn boxes by the time I could hold one, and fold one, about 5 years old. As I grew up and reached dating age, and I had to work at the Concession Stand, my date was allowed to pick me up after First Intermission. In high school, I was asked, Do your dates have to pay to get in?. No, they didn't but I was forever teased by the Projection Crew and the Policemen who walked the aisles. They were great! Girls at Marian High in Birmingham would say, Your Dad owns the Pit? THE PIT!!! Is that what they called it! During a Disney movie, they would cram 2,500 cars in and people would share a speaker. Kids were in PJ's. It was a great time growing up. Today, my Mom is celebrating her 100th birthday. One of the guys who worked for her and Dad in the Concession Stand is making an Oak Drive In sign to put up at her celebration!. My Grandfather Lorne B Seeley was the maintenance man at the Oak drive in and my great grandfather Al Smith took tickets there. I have many great memories from those days. My adrenalin rushed at the thought of getting to climb up on the red firetruck. My best memories were going to work with my Grampa Seeley. trying to catch the killdeer, chasing big grey flying grasshoppers (never caught one) looking for change. Grampa Seeley used to put a sawhorse by the killdeer nests so nobody would run the nest over. Wasp nest hunting was fun but spooky. Like others here, there was nothing better than putting on my PJ's and loading up to go watch the show. The big paper sack of popcorn, waking up to being carried into the house and half watched movies are far off fuzzy but fond memories. I remember NUMEROUS times there with my parents as a child I can still feel the excitement as we drove there from Ferndale, and smell the popcorn and food from the concession stand, (along with the oil smell from the gravel). I played on the playground too many times to count, and would give anything to be able to have those kinds of places back Theaters are nice in Michigan winters, but nothing will ever take the place of the smell of of a warm summer night at the drive-in, just before you drift off to sleep in your pajamas in the backseat of a '68 Fairlane or '73 Gran Torino. I remember going with my parents to the Oak Drive In or warm summer nights, My step dad would pop a grocery bag (large paper kind) of buttered pop corn, and get all of the pop in the cooler. I would then get my pajamas on and take my pillow and blanket, just in case I didn''t make it through both movies. LOL! It was a time in life when everything was great and innocent. I cannot remember the last show that we saw there, but I will always remember all the wonderful memories that it gave me and all the others in that early era. 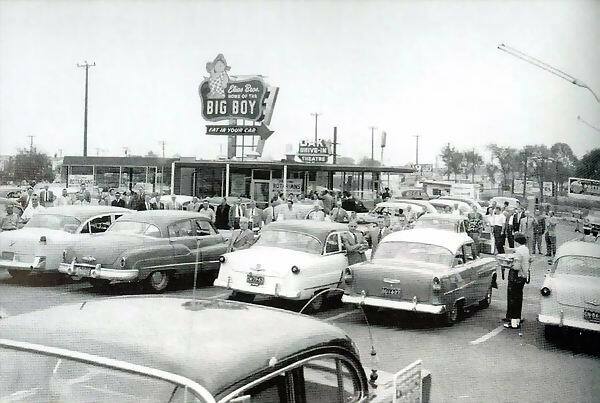 My memories of the Oak Drive-In go back to the early 50''s when I was just a kid. Back then, the screen had not yet been extended to accommodate the new CinemaScope movies so, when they showed one of those, it was like watching a DVD in letterbox form today. 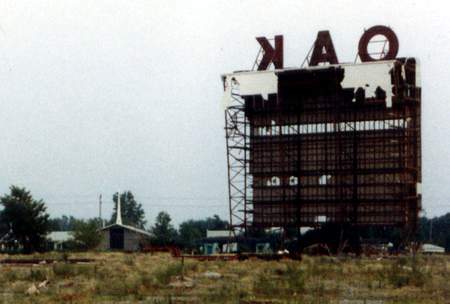 This was, also, before the marquee signage on Woodward Avenue. GREAT TIMES. I was eight years old at the time It would have been in 1965 and the featured movie was Beach Blanket Bingo. There was an anouncement over the speakers that there were some guest extras from the movie that were going to appear during intermission, at the concessions stand. I remember my older sister and I were heading (running) to the concessions stand with excitement of meeting some actors? from the movie. Only then to find myself running into a wire stretched between two posts along the perimeter outside the concessions stand and at just the height being at my neck level and finding myself on the ground. Dont remember much after that other than we had to leave before the second featured movie and I was taken to the local Beaumont hospital to be examined. Nothing serious , just a red mark on my neck. I have very fond memories of the Oak. It''s hard to believe one could love a place, but I did love the Oak. I can''t tell you how many times me and the wife would either pack up the kids and take them down there or hire a sitter to watch them and head down ourselves. I retired to Florida in 1993 and was back in town for my Grandson''s wedding this past week. 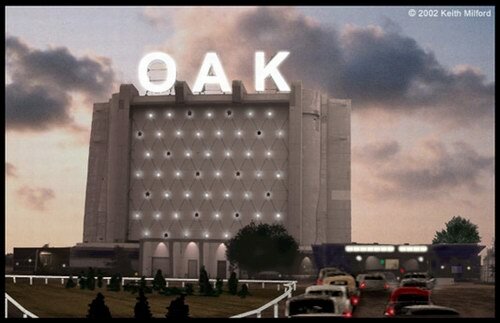 I ended up driving by the site on which the Oak sat. I decided to search it on Google and instantly noticed the close date was not listed here. 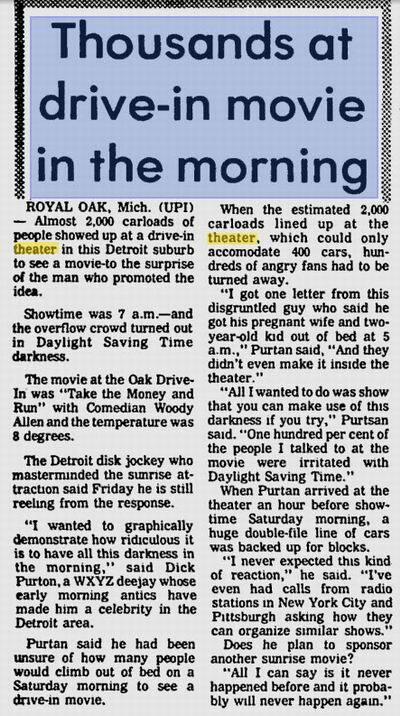 Well, I can tell you with 100% accuracy that the Oak Drive In closed up shop after their final showing on October 30th, 1980. The last 2 features to show there were Caddyshack and Up the Academy (I was there!). That year''s season began on Friday, March 28th with The Jerk and Animal House (yes, I was there too!) and featured an interesting mix of films. From movies such as the Disney double bill of The Black Hole and Sleeping Beauty to a horror double bill like Zombie and The Hills Have Eyes, (all of which made up our drive in seasons that year!) I always thought the Oak could be family friendly at times, but a true 70''s drive in at others. It was nice reading memories of the Oak and to know I''m not the only one who has them! Thanks to those who also posted the pictures! What a trip down memory lane!. This drive-in has priceless memories to me. As a brother to 2 other brothers and 1 sister, I can remember going in my dads brand new 1959 chevy station wagon (with the rear seats that faced towards the rear, not forward). The smell of the oil on the dirt (to keep down dust), the trains that used to go by, and the warm summer nights. Our world has changed so much in the last 40 years where its not even safe to smile at someone driving in the car next to you. On top of that, I can remember us leaving our frontdoor open to get as much air in as we could. Or leaving the keys in the ignition while going into the drug store. 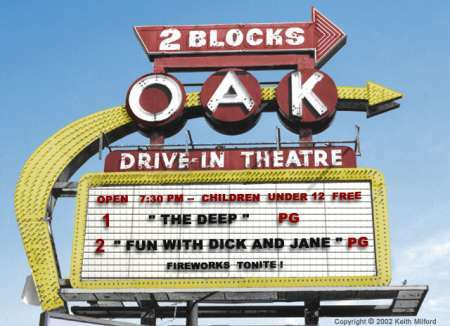 Yes, the Oak Drive-in was one of those memories that I will chearish as long as I live. Thanks for putting it on this site!. Concrete tower screen, about 60 feet high with flashing star lights and a giant OAK DRIVE IN. I lived a few blocks away. In mid-late 1970s a number of people use to hang out in the back industrial building area and watch the movies across the fence. ( no sound) Near the Grand Trunk Railroad tracks. The damn cops would come back and clear people out. But inside was the place to see a good trashy movie. Kansas City Bombers, Groove Tube, Death Race 2000, Crazy Larry and Dirty Mary, etc. Yup. They had a fire engine ride for the kids, swing sets up front and a cool snack bar. 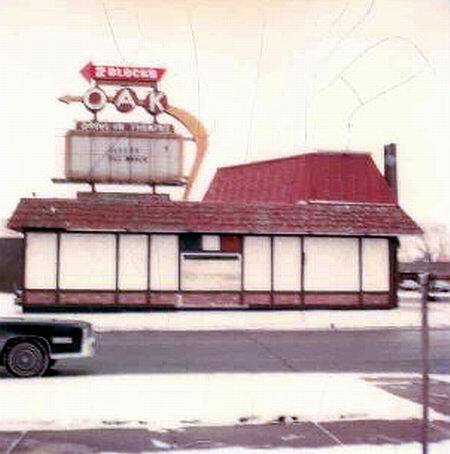 Actually, the Oak closed in the early 1980s. I remember seeing Rock N Roll High School there in 1980 as part of a double-feature. The sign on Woodward in Royal Oak was really cool when I was growing up. 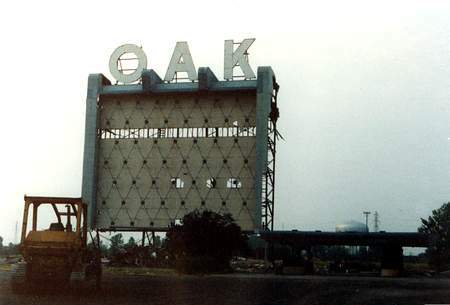 The Oak Drive-In closed, I believe, in the early 70s, 72 or 73. One of the local rock and roll stations (WABX, WLLZ? )staged an afternoon shift show which started at midnight and ended at daybreak. It was overrun with cars and was a great time! If I remember right, it was a last ditch effort to show that people would come and support the drive-in. Sadly, it didnt work. This was a very neat drive-in--in its heyday it had a firetruck, a merry-go-round, pony rides, and a playground by the screen. And it actually opened in October of 1949, not in 1950. Ive never gotten over the fact that it was torn down. Jim Bowman.